See D.C. Consortium for more information and links to consortium schools. Golden ID students are not eligible to register for courses through the consortium program. Faculty and staff tuition remission programs (including assistantships, fellowships, etc.) will cover the cost of courses registered through the consortium program. The partial tuition waiver program for spouses and dependents of the University of Maryland will cover the costs for courses registered through the consortium program. Students enrolled in the University of Maryland College Park courses with special fees (MBA, etc.) may be subject to additional tuition and fees rates when participating in Consortium courses. Pass/Fail and Audit grading options are not permitted for courses taken through the Consortium program. University of Maryland course change deadlines apply to students visiting other Consortium institutions. Students must be currently enrolled in a degree-seeking program. Students must have the approval of their department chair or director. Students cannot take more than 25% of course credits from other consortium universities. Practical, internships, workshops, and similar experiential learning courses cannot be taken at other consortium universities. 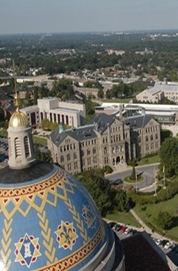 Students can only register for courses through the consortium program if they are not offered at the University of Maryland. Students must currently be enrolled in a degree-seeking program. Students must be in junior standing (at least 60 credits). Students must obtain approval from the Dean of their College if the consortium courses are taken during the last 30 credits. Assistant Dean or Dean of student’s College. Students from other Consortium universities may register only for courses listed in the Schedule of Classes on a space available basis. Students will be registered on the first day of classes. Participation is limited to credit-bearing courses. Eligible students must meet all course pre-requisites and have properly completed the consortium registration through the Consortium Coordinator at their home institution. Students are responsible to obtain the appropriate approval from the instructor and department through which the course is offered. Read all policies and restrictions of the Consortium program. Students are responsible to abide by the policies and restrictions of the program. Contact the department(s) offering the course(s) at the institution you plan to take the course(s) to determine if the course(s) is open to consortium students. If the course requires department permission, you will need to obtain written permission. This can be in an email or on department letterhead. Pick up the Consortium Registration form and the Consortium Registration Permission form from the University of Maryland College Park Consortium Coordinator in 1113 Mitchell Building. Complete the forms and obtain the required approvals and signatures. Return the completed form to the University of Maryland Consortium Coordinator along with any written permission from the department of the institution you plan to visit. The University of Maryland Consortium Coordinator will process the registration at the University of Maryland and will send a copy of the form to the institution you plan to visit. A stamped copy of the registration form will be returned to you to be used as an identification card at the visited institution to show to the instructor of the course as a confirmation of enrollment. If the course is cancelled, or if you want to change or drop the course, contact the University of Maryland Consortium Coordinator immediately. You must NOT drop the course through Registration (Drop/Add) in Testudo. Students must follow the University of Maryland schedule adjustment calendar.The University of Maryland Consortium Coordinator will notify the visited institution and make the appropriate changes. Failure to notify the University of Maryland Consortium Coordinator could result in failing grades assigned to your record. At the end of the semester, grades for Consortium courses are sent to the University of Maryland Office of the Registrar by the visited institutions. These grades are updated into the student’s record and converted into the University of Maryland College Park grading system. They are used in the calculation of the cumulative grade point average. Contact the Consortium Coordinator at your home institution to complete required paperwork. For courses that require permission or approval (this information is indicated on the individual course listings in the Schedule of Classes), students must contact the instructor and department for permission. The Consortium Coordinator at your home institution will work with the University of Maryland Consortium Coordinator to complete your course registration. Visiting students are registered on the first day of classes and will be notified by email confirming the registration. Make certain to write your email address clearly so that you can be contacted. If the course is cancelled, or if you want to change or drop the course, you must contact the Consortium Coordinator of your home institution immediately. The Consortium Coordinator of your home institution will notify the University of Maryland Consortium Coordinator and make the appropriate changes. Failure to contact your home institution Consortium coordinator could result in a failing grade assigned to your record.